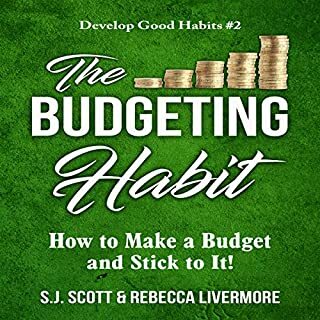 The Budgeting Habit: How to Make a Budget and Stick to It! Imagine what it would feel like to master your budget and not be in debt. All the money you currently pay to credit card companies can now be spent fixing up the house, taking a vacation, or investing in your retirement fund. You celebrate the holidays without dreading the credit card bill that is sure to arrive in January. The truth is all of this is possible when you master the budgeting habit. 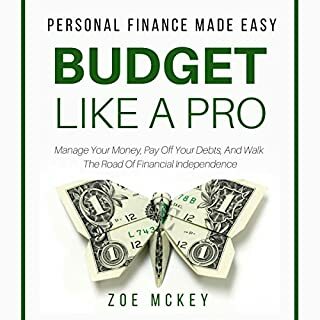 In this book, we'll look at ways to uncover your own personal psychology behind money, as well as practical methods to make and reach finance goals. From saving pennies here and there by cutting out mindless spending to rethinking your approach to saving entirely, we'll tackle your money issues the simple way: day by day. We'll consider realistic ways to save money, but also look in-depth at what it really means to live a minimalist life and what the true value of the items in our lives actually is. For most people, budgeting conjures up the same feelings as, say, prison and dieting. But your initial instinct couldn't be further from the truth. You just haven't budgeted the right way. 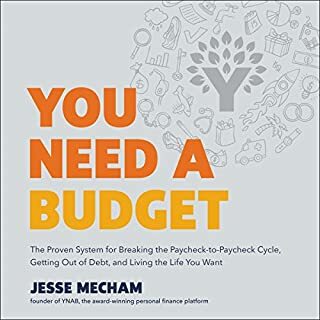 You Need a Budget will teach you four simple rules to completely revolutionize the way you think about managing your money. With a budget, you'll break the paycheck-to-paycheck cycle, get out of debt, and save more money. A liberating, enabling, empowering budget will actually make you feel more free, not more restricted. Many people are neck deep in debt and have very bad credit reports today because of lack of proper financial planning. You see, the difference between the rich and the poor is that the rich have been able to quickly learn and understand that money management is a skill that must be carefully mastered. No matter how rich you are or how much money you make, you cannot stay wealthy for a long time if you don't know how to manage your money. Okay, folks, do you want to turn those fat and flabby expenses into a well-toned budget? Do you want to transform your sad and skinny little bank account into a bulked-up cash machine? Then get with the program, people. 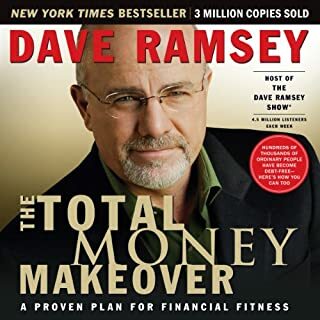 There's one sure way to whip your finances into shape, and that's with The Total Money Makeover. It's the simplest, most straight-forward game plan for completely making over your money habits. And it's based on results, not pie-in-the-sky fantasies. Are you desperate to make ends meet each month, constantly wondering if you can pay the bills? If debts are poisoning your life and you want to make your dollar go 10 times further, it's time to budget. Living alone from the age of 14, I learned to budget the hard way. Since my early teenage years, I had to earn and save my own money. In this book I'm sharing my insights about how to manage even the smallest income to outlast the month. I will give concrete, actionable advice based on my own and well-known financial experts' experience. 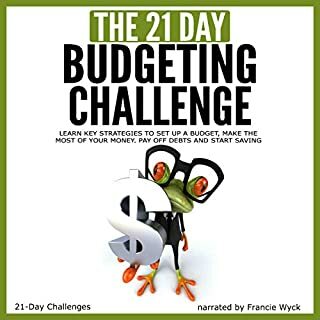 Discover the secrets of how to budget in this amazing book! 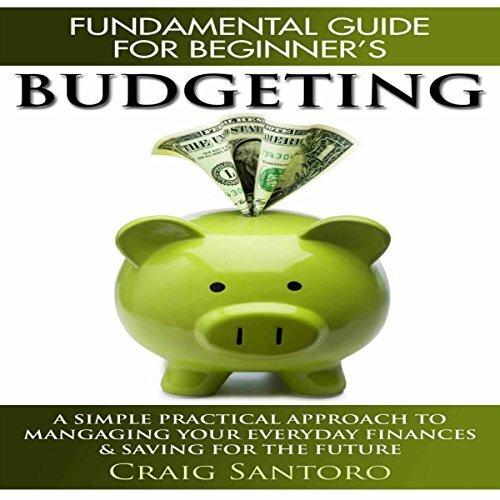 Inside you will find a detailed description of the different methods to budget and manage your money. Somebody once said that failing to plan is planning to fail. And failing to manage is managing to fail. Just like an untended garden, many important areas of our lives can be very messy to say the least without good active management. One of those areas is personal finance. Meeting responsibilities on a daily basis while also trying to save for your future can seem impossible. Sometimes just meeting your minimum financial obligations can be a nightmare. There are things you can do to make it manageable. The biggest problem that most people face is that they simply don't know how to budget. You may try to set money aside for bills and other expenses. You may watch your bank balances closely to make sure you don't overdraft. Often this is not enough. Planning is necessary. Today budgeting is taught in high school. Most schools offer a financial management class that is required for graduation. This means that the most recent generations will be armed with the knowledge they need to manage their finances. For those who are older, budgeting is not something that was taught. It was something you learned by trial and error, if at all. This lack of education and skills has led to a staggering number of Americans living from paycheck to paycheck, with no idea how to bring themselves out of the rut. 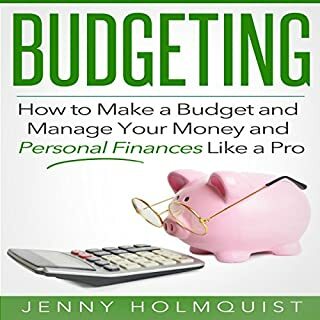 This book is aimed toward those who do not have experience or knowledge of budgeting. It will take you through three methods of budgeting and the steps necessary to make them work. By the end of this book you should be prepared to begin budgeting and achieve a long awaited financial stability. This is definitely a good book for beginners. I didn’t get what I hoped from it because I am apparently not a gunner! I was hoping he had more tips and tricks on trying to save money, but this was really about teaching you how to budget. I did find the tip about the envelope method and tracking grocery costs to be helpful. Listening to the narrator read the lists comparing budgeting tools got incredibly boring.